The Church of the Savior on Spilled Blood is one of the main sights of St. Petersburg, Russia. 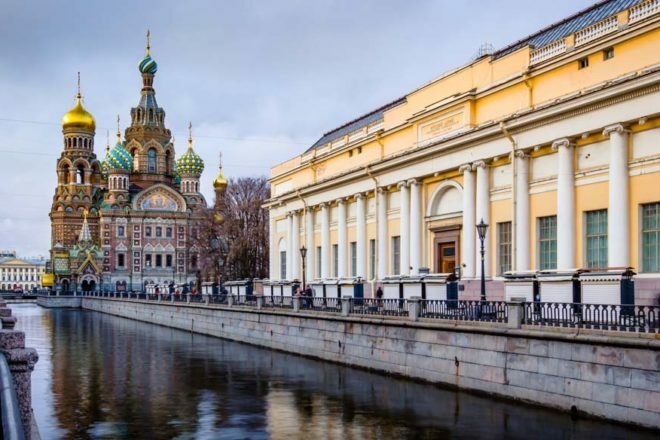 This Church was built on the site where Emperor Alexander II was fatally wounded in March 1881. 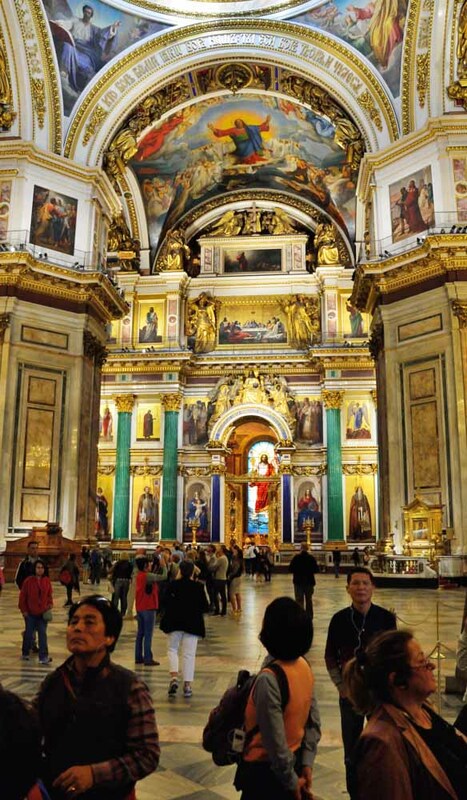 Beautiful paintings inside the St. Isaac's Cathedral in St. Petersburg, Russia. 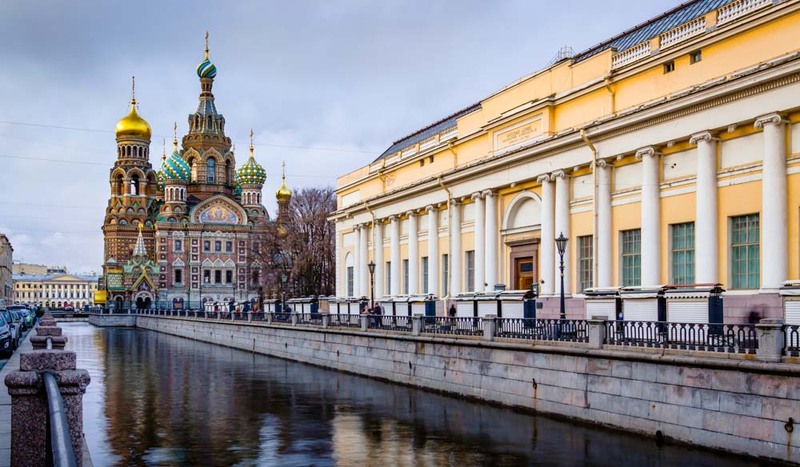 Irada Vovnenko, deputy director of St Isaac’s Cathedral gives us his personal, insider guide to his city of St Petersburg, Russia. What’s your favourite place for brunch or breakfast? I tend to leave home early in the morning and have brunch around noon. I like to have a cup of coffee with the traditional home-made Russian cheesecake Syrniki in the restaurant Schastye [translated as Happiness], which is located next to St Isaac’s Cathedral. I like the atmosphere of this lovely place. I don’t have a lot of time for lunch as my schedule is quite busy, but I like Astoria Cafe for its refined and unobtrusive atmosphere. It’s the perfect place to sit and have a business meeting with a colleague. There is the most tasty bread, the most tender sea bass, and an inimitable Olivier salad with crab. I like the seasonal special offers and, of course, I have my favourite table here with a wonderful view of my beloved St Isaac’s Cathedral. Which restaurant would you recommend for dinner? I love to cook at home, but sometimes I go to the Bona Capona restaurant in Pushkin with my two children and husband. As a family we love Italy and this is the best place in the city to enjoy the cuisine. It’s got lots of different types of pasta, delicious salads, plus there’s always a buzzy atmosphere and they have a good kids’ room. Where do you go for a relaxing wander in the city? I love to walk in the parks of Pushkin, also called Tsarskoe Selo – one of St Petersburg’s most attractive suburbs. I have a lot of memories of and connections to this place. In spring, when there are blooming bird cherry trees and lilacs in the park, Pushkin becomes one of the most beautiful places in the world. In the early morning I also like to take a walk along Nevsky Prospect, the main street in the city, and have a cup of coffee at Abrikosov cafe. Where’s your favourite place to go shopping? I love to make presents for my family and friends, but I particularly like a perfumery in the DLT department store and I can spend a lot of time choosing perfumes that you can only find here. Do you have a favourite theatre or cinema in the city? I regularly go to performances at the Mariinsky Theatre, a beautiful old ballet and opera space in St Petersburg.I find the voices of opera singers spellbinding; I recently saw Eugene Onegin – a great performance. I like to see film premieres in the Angleterre Cinema Lounge; you’ll always find an interesting film on here in the original language with subtitles.